Author’s note: This is getting out of hand! There is no end in sight to the oily nightmare for Gulf residents. After halting the “top kill” procedure on Thursday, BP conceded on Saturday that they have failed to stop the volcano of oil and natural gas erupting from the floor of the Gulf of Mexico. According to the AP, BP is initiating the next step in attempting to stop the gusher that they created, which entails using robot submarines to cut the pipe that’s gushing the oil and cap it with funnel-like device, but the only guaranteed solution remains more than two months away. Yeah right, Mr. Obama. Who’s we? 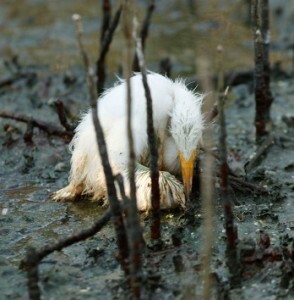 You have let BP control this from day one. From a PR standpoint, a CYA perspective, or any other for that matter, the truth is, no one has a clue how to stop this leak, and BP is not solving the problem. While it is not your duty, nor the responsibility of taxpayers to clean up after corporations like BP, there comes a time when you need to step in…and by that I do not mean getting a dirty boot from the oil washed up on the shores. Time to relieve corporations of their control and perhaps, it is time to put some of these people in jail for what they did. If you want to boycott BP, here’s a link: Speak to BP in a language they will understand. No money required. Author’s note: This is three-part piece, but what is most noteworthy is that all of the information was obtained through corporate media. Are they finally waking up, or this is so bad there is no hiding it anymore? The New York Times reported today that BP’s “top kill” effort has been halted due to a snag. A “snag?” Perhaps that is a reference to the estimated 165 to 170 thousand pounds per square inch of pressure that is blowing oil and natural gas from the floor of the Gulf like a volcano, and now also blowing out the drilling “mud” that BP is attempting to inject in the opening to seal it. The “top kill” procedure has never been attempted in the deep sea, under such enormous pressure. Keep in mind that the water pressure at the depth of the leak is enough to crush the hull of a navy submarine, yet oil and gas is shooting out like a geyser. Drilling mud is comprised of divided heavy material, such as bentonite and barite, and is commonly used in surface operations by being pumped through the drill pipe during rotary drilling to seal off porous zones and flush out chippings. It was not designed for underwater use at such a depth. According to the Washington Post, an area of dissolved oil was found that is about six miles wide, and extends from the surface down to a depth of about 3,200 feet, said Professor David Hollander. The discovery is the second significant undersea plume recorded since the Deepwater Horizon exploded on April 20. In yet another troubling development, Matt Simmons, told Dylan Ratigan on MSNBC that “there’s another leak, much bigger, 5 to 6 miles away” from the leaking riser and blowout preventer shown on the underwater cameras. (You can view the video clip at my Examiner link). Simmons was an energy adviser to George W. Bush, an adviser to the Oil Depletion Analysis Center, and a member of the National Petroleum Council and the Council on Foreign Relations. He is also chairman and CEO of Simmons & Company International, an investment bank catering to oil companies. In other words, that comes from a source who has inside knowledge of the industry and who certainly cannot be labeled an environmentalist or anti-corporatist. At the very least, the Obama administration or BP should either refute or confirm his claims. The silence on that could become the infamous dog that did not bark. On a positive note, the Obama administration did extend a moratorium on new off shore drilling permits and the corporate media is finally beginning to report that the gusher in the Gulf is worse than BP and the feds have been telling people. Other than that, it is a nightmare for Gulf residents that just does not seem to end. New York Book Expo: Duchess Sarah & 40 pounds of free books! The 2010 New York Book Expo moved into full swing today. Last night Barbra Streisand gave the keynote speech and I positively hung on (and wrote down) every single word. But it will take me forever to transcribe all that, so you will just have to wait to find out what “La Streisand” actually said. However, here’s a sneak preview factoid: She is 67 years old — that’s my age — but looks like she’s around ge 40 at most. This morning I heard Sarah Ferguson, Duchess of York, give a talk. She was wonderful. Her books are geared toward children. “As some of you already know,” she added, “I don’t get along very well with adults.” Poor Sarah is in the news right now for allegedly taking bribes from people who wanted to meet her husband. If I had a famous and hottie husband, I’d be taking bribes too! At the event, news photographers swamped all over the hall while frantically looking for photo ops of Sarah, but I scooped them to the best shot. Ha. But Sarah then offered up a great one-liner regarding her recent experiences with the American press. She simply referred to the title of one of her earlier books, “Ashley Learns about Strangers”. And I also got a great photo of Sarah signing copies of her new book. She had a smile and something nice to say for everyone who wanted a copy of her book, “Emily’s First Day of School”. I also got an autographed copy of Oscar Hijuelos’ new book, “Beautiful Maria of My Soul.” Hijuelo also smiled a lot. Joyce Carol Oates was supposed to autograph books too but she didn’t show up. But I still got a copy of her new book, “Sourland”. Sometimes Oates books are a bit too sad to read, but you gotta admit that her command of the English language is superb. Then I went off to hear a panel discussion regarding young adult paranormal and vampire books. “They take metaphors and actualize them. They also heal the split between magical and real worlds. Paranormal books have the strength to cross over between the two — and they also define what the reall world COULD be like. Paranormals also stand in for the difficulties that teens face — like that you don’t have any power over what is happening to your bodies. It also supplies strong female role models.” That’s definitely true. It doesn’t get much stronger than becoming a vampire. I myself always thought that vampires were an analogy for Big Corporations sucking America dry, but apparently not. Also Cory Doctorow gave a talk about his new book, “For the Win”. It’s about virtual sweatshops in Asia where poor nerds play video games night and day and then sell their wins to exploiters who then sell them for big bucks to American kids who want to appear to be gamer geniuses. Who would have thought? And Mitali Perkins talked about her new book, “Bamboo People”. It’s about child soldiers in Burma. She said most books are either “mirror” books or “window” books. They can either mirror your own life and help you understand it better, or they can take you away to someplace else. Or they can do both. I wonder why I always like to read murder mysteries? Are they window books or mirror books for me? Then I met Gary Trudeau, who signed a lithograph to my son Joe. “Hey, Joe! It’s for you!” And got a book autographed by Ridley Pearson, and one by Chris Hedges and another one by someone named Lemony Snicket. But all the librarians standing in line for his autograph assured me he was really a real person. Keith Richards has a book coming out in October. And I got a book called, “The Zen of Social Media Marketing”. I could use that. I need to market my book! And I also got a book by James Howard Kunstler about a post-oil world. “With the oil spill and all this book could be rather timely,” I said but he just laughed and commented that nothing he had ever written was timely — but who knows. PS: Even while I’m running around and doing all this stuff in New York City, I still keep totally tuned in to my wi-fi, trying to find out what is happening to my friends who are sailing to Gaza with an eight-ship international flotilla filled with 10,000 tons of humanitarian aid. “We finally just left Athens!” they e-mailed me this morning. Yaay! “We expect to arrive in Gaza by Saturday.” That is, if the flotilla doesn’t get stopped by the very formidable Israeli Navy. I know that the Old Testament mentions something about an eye for an eye, but where does anyone anywhere say anything about banning CHOCOLATE? In the Christian Science Monitor, that’s where. I am hoping that my friends’ “cruise” to Gaza goes well. But just in case that it doesn’t, maybe they had better take Sarah Ferguson’s advice and “Learn About Strangers” too. Author’s note: This is bad…really bad. Anyone else having nightmares about this? For weeks, the magnitude of the oil disaster in the Gulf has been something people have read about. Now it is reality for the residents on the coast of Louisiana. Even CNN, between sound bytes of the latest celebrity and entertainment news, reported that “there is a sense of doom” among Gulf coast residents as “light” crude in the form of thick tar washed up on the beaches and marshes, killing every form of marine life that it touches. Almost 70 miles of the Louisiana coast have been hit by this poison. And there is no end in sight. 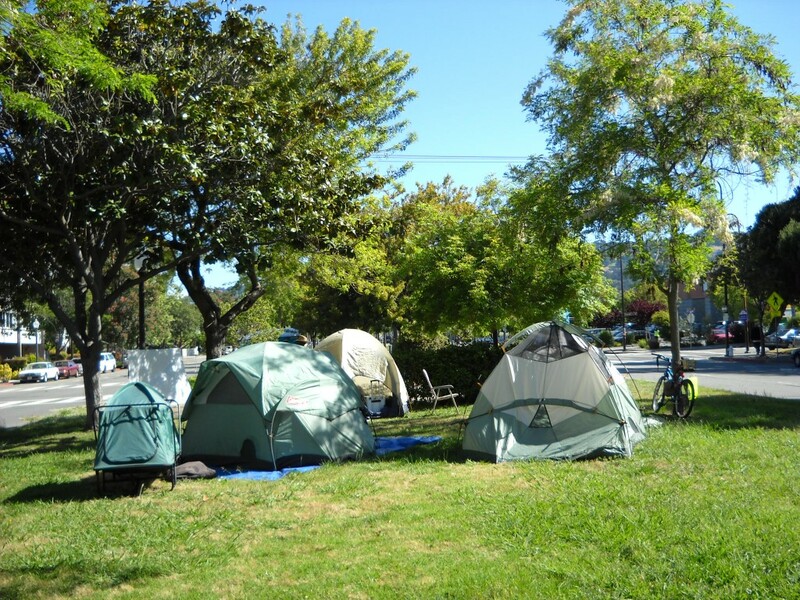 Some have likened this to hurricane Katrina, but it may be more like Chernobyl. Neither BP, nor the federal government seem to have a clue as to how to stop the volcano of oil erupting from nearly a mile below the surface of the Gulf. Have you people not learned anything from the “heckuva job, Brownie” gaffe? In its’ infinite wisdom, the Wall Street Journal now reports that the, “U.S. Wasn’t Ready for Major Spill.” Ummm, hey WSJ editors, this is not a spill, it is an uncontrollable volcano of oil erupting from a mile below the surface of the ocean. And no one knows how to stop it! On top of that, Reuters reports that BP’s “top kill” solution will be delayed. BP claims they have spent over $760 million on clean up thus far, but considering they have made $6.1 billion in profits in the first quarter of this year, that amounts to about eight days of profit. Wow, the suffering there is astonishing. It may be time for the federal government to step in and take control of this situation…and throw a few BP executives in jail until it is sorted out. After all, goat herders in Afghanistan have been detained for years for a lot less than this. New York is absolutely throbbing with energy and excitement! When I get back to Berkeley, I’m gonna have to hide under the bed for WEEKS just to recover from this trip. The very first thing that you do after landing at JFK is to get lost on the subway at least twice. Then I stayed at the Gershwin Hotel’s conveniently-priced youth hostel — with three Swedish girls and an Argentine science major. None of them snored. And just TRY to get hooked up to the free wi-fi at McDonalds. Not happening. No. I really wanted to get an internet connection so I could find out what’s happening to my friends who are sailing to Gaza with hundreds of tons of humanitarian relief stuffed into a bunch of cargo ships. They were supposed to sail on Saturday. And then Tuesday. What is happening? Have they sailed yet? Or not. Finally, around 10 pm last night, I located an internet cafe. Nope, they haven’t sailed yet. But they had better do it soon if they plan to get there any time soon. The Israeli navy has already promised to give them a Warm Reception — and it might be impolite of them to miss that. Joe Meadors, a survivor of the USS Liberty disaster, is also on board the same ship as my friends. Perhaps he is hoping to do one of those veterans’ reminiscence thingies and relive another Israeli attack? Let us sincerely hope that THAT doesn’t happen! Anyway, bright and early this morning I ran, er, hurried up to the Jacob Javits center to get my Barbra Streisand ticket. Score! And there’s a photo of her on the ticket, all in blue velvet and sitting on a blue velvet couch next to a fluffy little white dog. Her new book is called, “My Passion for Design”. I hope they give out free copies. My apartment could really use a face-lift. I’ll report back to you later, after I’ve seen her speech. No photographs are allowed, however. Rats. Now for the fun stuff. After registering and checking in at the Book Expo, I jumped on the crosstown bus and transferred to the Second Avenue bus down to the Lower East Side. I used to live on the Lower East Side! Back in 1965. B&H Dairy is still there, still selling rice pudding. Then I went to see my old neighbor, Ben Treuhaft. He has a piano repair shop down on Ridge Street, down past Orchard Street. And, boy, has Orchard Street changed too. Insead of all those old funky stalls and pushcarts, it is now officially New York’s “Bargain District”. And Alphabet City, which used to be a notorious junkie heaven where you took your life in your hands just to walk down the street past 8 pm, is now all co-op apartments, Yuppie daycare centers and designer boutiques. I was almost raped on the corner of Houston and Second, back in the day. My, times have changed. Ben, my ex-neighbor, caught me up to speed fast. “I’ve married and had two children since I saw you last….” That long ago? “What about your Piana to Havana program?” Ben used to collect hundreds of used American pianos and ship them off to Cuba so that school children could take lessons on them. “I’m not so involved in that any more. And besides, I’m leaving for Japan in four days.” His wife Olga, a biologist, will be working on a brain-study program over there for a few years. “Wow! That’s exciting!” Then I volunteered to let his wife study MY brain too — free of charge. Anything to have an excuse to go visit Japan. Then I asked Ben if he knew anything about how the huge oil spill disaster was effecting Cuba, but he didn’t know. However, he did say that Cubans are highly innovative in matters like that and could probably have the equipment and know-how to plug the leak ASAP. But we all know that asking Cuba for help just isn’t going to happen — just like what happened in Haiti, all that cutting-off-one’s-nose kind of stuff. Then I jumped onto the Chambers subway line at Essex Street and scooted back up to the Javits Center again, to see if they were handing out any more free books. No luck so far but the Book Expo doesn’t officially kick off until tomorrow. A bill was introduced in the House last week that would eliminate the federal income tax on the first $35,000 of all Americans’ earnings. The bill proposes to compensate for the loss in revenue by cutting $159 billion in supplemental war funding. H.R. 5353, known as the War is Making You Poor Act, is sponsored by Florida congressman Alan Grayson (D-8th District). The bill is co-sponsored by Reps. John Conyers (D-MI), Walter Jones (R-NC), Dennis Kucinich (D-OH), Barbara Lee (D-CA), Ron Paul (R-TX) and Lynn Woolsey (D-CA). In a speech on the House floor on May 20, Grayson stated that the bill would do three things. Firstly, it forces the pentagon to pay for the wars out of the $549 billion already allocated in the defense budget. Secondly, it enables 90% of the savings from $159 billion in supplemental war spending to cover the cost of a tax cut that would make the first $35K of every Americans’ income ($70K for married couples) free from federal income tax. Thirdly, it ultimately reduces federal spending and the deficit because the remaining 10% would be applied to that, and rather than borrowing money to pay for wars that have no financial return of investment, the money saved by taxpayers can be spent to help stimulate the economy. 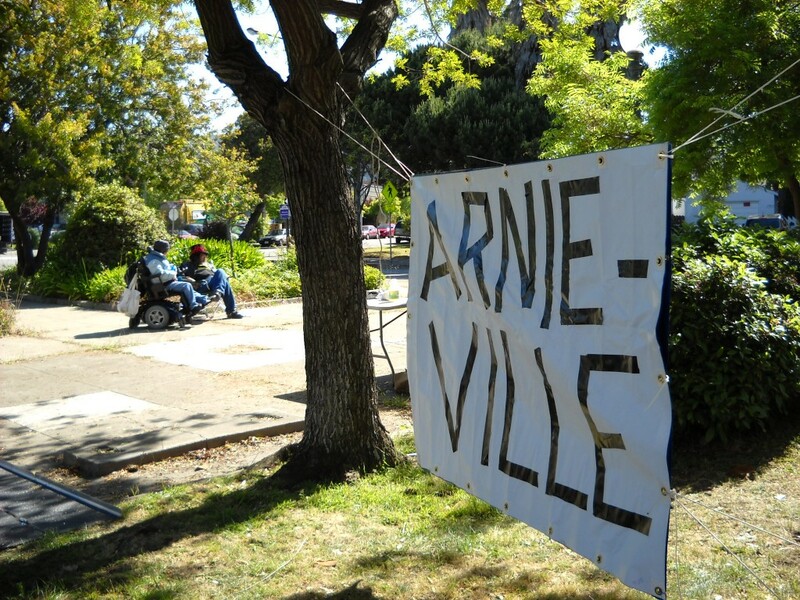 Activissts in Berkeley have set up a tent city, called “Arnieville,” to protest recent budget cuts in California. Photos were taken on Saturday morning, May 22, 2010.